I consider myself to be very much a beginner when it comes to photography. I’m still learning how to use my camera and I make a lot of mistakes in the process. When Katy from What Katy Said asked me to share the settings I use for my photos I realised that actually there are probably quite a few people out there like me who know how they want their photos to look but don’t know what camera settings to use. Back when I was starting to get to grips with manual mode I would typically take fifty photos of the same shot, playing with all of the settings on my camera, and maybe end up with one photo that was exactly how I wanted it to look. For me that was the best way to learn because as time has gone on I’ve begun to figure out what works for the type of photos I like to take. This post will focus on the settings I use most often to achieve the shots I share here on my blog. In part 2 I’ll focus on editing and in part 3 I’ll share my favourite photography tutorials. N.B. The tips below are predominantly for DSLR cameras because that is what I have and they assume that you know how to change the settings on your camera. I don’t have a lot of fancy camera equipment and to be honest when you’re starting out you don’t need much beyond your camera and the lens it came with. My camera is a Canon 500d that I bought a couple of years ago. The lens I use for 90% of my photography is a Canon EF 50mm f1.8. Colloquially known as the Nifty Fifty it’s a truly great lens. For the other 10% of my photography, such as landscape shots, I use a Canon EF 18-55mm f3.5-5.6 IS which is the lens that came with my camera. I use a tripod for any still shots as I have terribly shaky hands. If I’m short on space I’ll balance my camera on a pile of books or any available flat surface. Along with the tripod I use a remote control but if your camera has a timer setting you can just as easily use that. Finally I have an A5 sheet of white card stock and I’ll explain why in a moment. Most of the time you can get away with setting your white balance to auto but if your camera is like mine and auto casts too much of an orange or blue tone to your photos then this is where a piece of white card stock comes in handy. Under the White Balance setting on your camera you should see an option called Custom. This setting allows you to tell the camera the exact type of white to use. To set custom white balance I hold the white card just above the scene that I’m going to be shooting, so that it’s in the same light, and I take a photo of the card making sure to completely fill the frame. On my camera I then have to then go into the main menu and choose Custom White Balance and set it to use the photo I’ve just taken. When I next take a photo the camera automatically adjusts the white balance based on the detail it takes from the photo of the card. Shutter speed is essentially how fast your camera takes a photo and, like aperture, it also determines how much light is let into the camera. 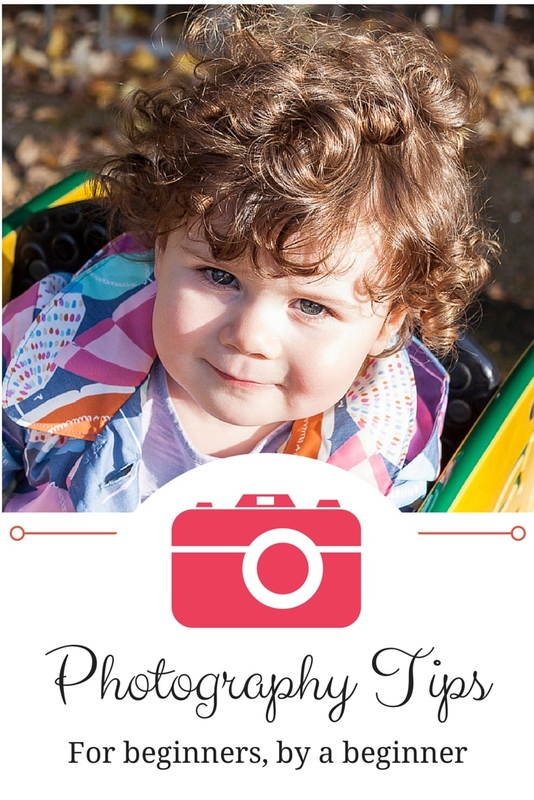 For my blog I really only tend to take photos of my daughter Bubs and still life shots for beauty reviews or recipes. If I’m taking photos of Bubs when she’s sat still and engaged in an activity I will use a shutter speed of 1/125 or 1/200. If she’s on the move and running around, as toddlers typically are, then I’ll use a higher shutter speed of around 1/500 or even 1/1000 and put my camera in continuous (also known as burst) mode which will take a volley of shots that I can choose from. For product or food shots I use the tripod and remote which means I can use a lower shutter speed (below 1/80) if the lighting isn’t great and there’s very little risk of camera shake ruining the shot. If you have to hand-hold the camera try not to use a shutter speed lower than 1/100 otherwise it’ll probably come out blurry unless you have remarkably steady hands. I think of aperture as being like a pair of curtains in front of my camera. The lower the aperture number the more open the curtains are, which in turn lets in more light. If I’m shooting indoors with very little light, or outdoors on an overcast day, then I need to use a very low aperture (1.8 to 2.0 on my 50mm lens) to open those curtains wide and let as much light into the camera as possible. Conversely if I’m shooting indoors in front of a big window with loads of natural light, or outdoors in bright blazing sunshine, then I use a higher aperture number (5.6 or higher on my 50mm lens) because the curtains don’t need to be fully open. Aperture can also be used to change your depth of field. Lower numbers keep the main focal point of your shot in focus and give everything else that lovely blurry effect (called bokeh). Higher apertures have more of the scene in focus which is great for group shots where you want everyone’s faces to be sharp and in focus. I prefer to leave the ISO on auto as my camera does a pretty good job of selecting the right number. I will occasionally increase it to around 1600 if I’m taking photos of a fast running toddler as it means I can increase my shutter speed without making the photo too dark. Take note that an ISO above 800 will produce noise (that grainy look) on your photo. The last thing I do is select my focal point. If I’m photographing Bubs’ face I’ll focus on one of her eyes, if she’s playing I’ll focus on one of her hands. For still life shots I’ll focus on the item that I want to be the centre of attention. After I’ve run through the checklist (it really only takes a minute) I take a test shot and review it on the camera screen. If the photo is too dark or too light I alter my aperture or shutter speed accordingly (lower/slower for more light, higher/faster for less light). If I really, really don’t want to alter either the aperture or the shutter speed then I’ll crank up or lower the ISO. N.B. Sometimes the action is happening so fast that I don’t have time to review I just have to shoot first and edit later but I’ll be coming to that in part 2. The photo below was taken in our front room on an overcast day. I put the leaves and pine cone on a metal tray which reflected the light upwards (a sheet of white paper works just as well) and put the tray on a windowsill in front of a big window. This is the shot straight out of the camera with no editing. The aperture setting was the most important part of this setup. I wanted the main focal point, the pine cone, to be in focus and the background to be out of focus so I set the aperture at 2.8 and decreased my shutter speed until there was enough light coming into the camera. The next photo was taken during our visit to Birdworld. It was a bright and sunny day with no cloud. This is straight out of the camera with no editing. The shutter speed and aperture were the important parts of this setup. The kookaburra was sitting very still but I knew it probably wasn’t going to stay that way for long so I didn’t have time to take a test shot or set up custom white balance. I set my shutter speed to 1/200 so I could quickly capture the shot before it flew away and my aperture to 5.6 so that more of the bird would be in focus and to bring out the detail of its feathers. Part of the enclosure was in the shade so I set my white balance to Daylight, increased my ISO to 400 and hoped for the best. I took this photo of Bubs at a local park on a lovely sunny day. Again it’s straight out of the camera with no editing. The shutter speed was the most important setting as Bubs was playing on the see-saw when I took this photo. I set the shutter speed to 1/250 to freeze the action and set my focal point on Bubs’ right eye. My aperture is high since there was lots of natural light but it could probably have gone higher because the photo is a little overexposed. I quite like that style of photo but if necessary I could fix it in editing. That’s about it in a nutshell really. Like I said at the beginning of this (very long, sorry!) post I am still a beginner but while my photos might not be technically perfect they’re a hundred times better than they used to be. The photo below was taken last year with my camera on auto mode. It was a sunny day and there was plenty of light in the room but you’d think I’d taken it in a cave. It’s also badly out of focus and just awful. I’m embarrassed to have it on my blog, but it serves as a great reminder of how far I’ve come already. The thing to bear in mind is that every camera and every setup is different. Your light levels will be different, your walls might be painted a darker/lighter colour, you might have wood floors that do a great job of bouncing light or carpet that doesn’t. It all makes a difference to the settings you need to use on your camera. The biggest tip I can give you is to practice, practice, practice. The great thing about digital cameras is that you can take a hundred photos that need never see the light of day but if you’re lucky there might just be the perfect shot among them. Analyse that one, look to see what your settings were and learn from it. If you liked this then you might be interested in Part 2 – Editing and Part 3 – Tutorials. Thanks Jess! I totally know what you mean, I keep meaning to comment on posts and then some toddler / dog induce chaos occurs and it completely escapes my memory.